Since our first advertising program, AdWords, was introduced in 2000, our goal has been to show people ads that are so useful and relevant that they are a form of information in their own right. We also strive to ensure that our advertisers get the most out of their investment, no matter what part of the world they are using AdWords from. As Google grows worldwide, and more specifically in the Middle East and North Africa, we are constantly looking for ways to improve and to provide you with better service. To do this, we have retained a team to conduct phone surveys with you, this is where we need your input! If you have used AdWords, are currently using it, or want to learn how to use it, and you are living in Egypt, all you have to do is pick up the phone and call this number 19296. You will be connected to an operator retained by Google. This operator will conduct a short survey with you, basically letting us know what you want improved! It’s that easy. We encourage you to take this opportunity in letting us know what you want. Also don’t be afraid to share with us what you like about Google AdWords, we value your feedback. Help us help you! قبل حوالي العامين كان محمد طه في مدرجات الأكاديمية العربية للعلوم والتكنولوجيا في الإسكندرية بمصر حيث كان يعمل كمدرس مساعد وباحث في الأكاديمية،وفي نفس الوقت كان عبد الكريم مارديني يعمل على نشر ثقافة البرمجيات المفتوحة المصدر عن طريق عمله كشريك مؤسس ل OpenCraft إحدى الشركات الرائدة في هذا المجال في مصر. وخلال عملهما في المجال الأكاديمي وسوق العمل، لاحظا كيف أن المنطقة العربية ما زالت تحتاج للتحفيز على استخدام الإنترنت. وهكذا بدأت قصتهما بالانضمام لشركة Google وخصوصًا للقسم العربي. وخلال العام الماضي، قدم كل منهما الدعم لمجهوداتنا الطموحة في المجال الهندسي للمساعدة في تحفيز انتشار الإنترنت في العالم العربي. وشارك عبد الكريم (مدير المنتجات للمنطقة العربية) ومحمد (مهندس برمجيات في فريق الهندسة العربي)، بالإضافة إلى آخرين، في إعداد المنتج "تشكيل" الذي يضيف علامات التشكيل إلى الأحرف العربية. كما شارك محمد أيضًا في إعداد خدمة تعريب من Google وفي منتج "إجابات" الذي هو عبارة عن منتج للأسئلة والإجابات بالعربية من Google. ومؤخرًا، التقى فريق Life@Google محمد وعبد الكريم للأجابة عن بعض الأسئلة حول مشاريعهم الحديثة. يمكنك مشاركة الفيديو مع أصدقائك وإعلامنا برأيك في قسم التعليقات. ونأمل أن يعجبك الفيديو وسنستمر في نشر مقاطع الفيديو حول مجموعة واسعة من الموضوعات، وكل شيء ستجده في http://goo.gl/LU8JS. ويمكنك أيضًا إضافة اقتراحاتك حول موضوعات الفيديو والتصويت على أكثر المقاطع إثارة لإعجابك في صفحة منسق حوارات Google هذه! Meet Mohamed Taha and AbdelKarim Mardini. Mohamed is a software engineer and AbdelKarim is a product manager responsible for developing Google’s products for the Arab world. AbdelKarim was previously the co-founder of OpenCraft, an open source software firm based in Cairo, Egypt, and Mohamed was a teaching and research assistant in the Arab Academy for Science and Technology in Alexandria, Egypt. For the past year, they have furthered our ambitious engineering efforts helping to spur the online penetration of the Arab world. Mardini and Mohamed worked among others on Tashkeel which adds diacritics to Arabic characters. Mohamed also worked on the Google transliteration service and Ejabat which is Google’s Arabic Q&A product. Mohamed and AbdelKarim recently have kindly accepted to answer a few questions on their recent projects. Out of the 337 million people in the Middle East and North Africa, only 62 million are Internet users. Yet in the past decade, MENA has seen the fastest growth in Internet users in the world between over 1200%. In order to continue this growth, both Mohammed and AbdelKarim believe local content is key, which requires localizing products, improving translation tools and empowering Middle-Eastern companies to bring content online. Building on this local content, Google aims to help more businesses to go online and take advantage of online advertising and maps. Feel free to share the video with your friends and let us know what you think in the comments section. We hope you’ll like it so we plan on continue posting videos on a wide range of topics, everything from tips and tricks on how to get hired at Google and how to prepare for interviews, to how to use Google's technologies and create online services. You can also add your own suggestions for video topics and vote on the ones you like the most on this Google Moderator page! يجب على المشارك أن يكون لديه إلمام بمبادئ تطوير الويب بلغة (HTML)، وقد أكمل السنة الأولى في الجامعة (لديه إلمام في HTML, Java Script, CSS). يجب أن يكون لديه القدرة على إنشاء صفحة ويب تحتوي على نموذج، ولديه القدرة على كتابة برامج بسيطة باي لغة برمجة. يجب أن يكون لدى المشارك معرفة بالبرمجة الإجرائية (procedural programming) و البرمجة بالكينونة (object oriented programming). لا يجب على المشارك أن يكون طالباً في جامعة القاهرة أو جامعة الأميرة سمية. نحن نرحب بجميع المطورين. ليس هناك حاجة للتسجيل المسبق، لكن عدد المقاعد محدودة، تأكد من حضورك بوقت كافي قبل 6:45 PM حيث ستغلق الأبواب بعد ذلك، وسوف تبدأ الورشة على 7 PM تماماً. الرجاء الحضور قبل 6:30 PM، حيث سيتم اعادة توزيع المقاعد بعد هذا الوقت على الحاضرين . ستغلق الأبواب بعد ذلك، وسوف تبدأ الورشة على 7 PM تماماً. للمزيد من المعلومات يمكنك الإتصال مجموعات مطوري Google في القاهرة http://cairo.gtugs.org وفي عمان http://amman.gtugs.org/. محرر نصوص (Windows users can use notepad++, or another lightweight editor, IDE not required). Do you have a cool idea for a web application? Then join us to learn how to quickly prototype using Google technologies. We'll give you power without complexity. Must be able to create a web-page with a form and be able to make a programme in any language (hello world type programme). They must have basic knowledge of procedural programming and object oriented programming. They do NOT need to be a student at the University of Cairo or PSUT. Professional developers are welcome. For Amman participants: Please visit this link to register. Doors open at 6:30pm and close at 6:45pm. Tutorial starts at 7pm sharp. To reserve a seat - sign-up here. If you are not there by 6:30pm, we will give away your seat. Doors close at 6:45pm. Tutorial starts at 7pm sharp. To all attendees who are not students of Cairo University, please also bring your National ID/Passport to get into the school. For more information get in touch with your local GTUG (http://cairo.gtugs.org/ or http://amman.gtugs.org/). هل عندك فكرة لخدمة جديدة أو فريدة على الإنترنت ؟ إذن شاركنا حضور أول ورشة لتطبيقات الإنترنت لتتعلم كيفية استخدام تكنولوجيا Google لبناء فكرتك . وكما يوضح المثال، فإن أخطاء تحويل النص يمكن أن تقع حتى لو كان تطبيق الويب بأكمله بلغة من اليسار إلى اليمين. وفي حالة قبول التطبيق لإدخالات المستخدم أو عرضه محتوى متعدد اللغات، فقد تكون هذه البيانات بإحدى اللغات المكتوبة من اليمين لليسار، مثل العربية أو العبرية أو الفارسية أو الأردية. ومن المحتمل أن يؤدي عرض نص من اليمين إلى اليسار في بيئة من اليسار إلى اليمين، أو العكس، إلى تشويه النص في حالة عدم إجراء ذلك على نحو صحيح. ولذلك فإن معظم واجهات المستخدم، سواءً من اليسار إلى اليمين أو من اليمين إلى اليسار، تحتاج إلى تمكينها من معالجة النص ثنائي الاتجاه. يمكن أن تكون معالجة النص ثنائي الاتجاه أمرًا معقدًا حيث تتطلب معالجة خاصة عند كل ظهور لبيانات يحتمل أن تكون ثنائية الاتجاه في واجهة المستخدم. ونتيجة لذلك، فإن دعم النص ثنائي الاتجاه غالبًا ما يتراجع عندما يضيف مطور البرامج ميزة جديدة؛ ويخفق في تضمين دعم النص ثنائي الاتجاه في الشفرة المحدّثة. // Check for BiDi errors with Arabic data in an English UI. // User reviews data to display; includes Arabic data. // Render the reviews in an English UI. // This assertion will fail due to BiDi errors! لقد أصدرنا أداة BidiChecker كمشروع مفتوح المصدر في Google Code، وذلك حتى يتمكن مطورو برامج الويب في كل مكان من الاستفادة منها. ونتمنى أن تسهم تلك الأداة في جعل الويب مكانًا أكثر ألفة بالنسبة إلى مستخدمي اللغات المكتوبة من اليمين إلى اليسار ومطوري البرامج الذين يدعمونها. Can you spot the error in the following webpage? Oops! The Arabic movie title causes the line to be laid out in the wrong order, with half of the phrase "57 reviews" on one side of it and half on the other. As this example demonstrates, text transposition errors occur even if your web application is entirely in a left-to-right language. If the application accepts user input or displays multilingual content, this data may be in one of the right-to-left languages, such as Arabic, Hebrew, Farsi or Urdu. Displaying right-to-left text in a left-to-right environment, or vice versa, is likely to cause text garbling if not done correctly. So most user interfaces, whether left-to-right or right-to-left, need to be able to deal with bidirectional (BiDi) text. Handling BiDi text is tricky and requires special processing at every appearance of potentially BiDi data in the UI. As a result, BiDi text support often regresses when a developer adds a new feature–and fails to include BiDi support in the updated code. We’ve just released BidiChecker as an open source project on Google Code, so web developers everywhere can take advantage of it. We hope it makes the web a friendlier place for users of right-to-left languages and the developers who support them. في ‏‫‏‫تشرين الثاني (نوفمبر) الماضي عن‬‬ أننا بصدد بدء اختبار واجهة جديدة مع مجموعة محدودة من الناشرين. ومنذ ذلك الحين، انصب تركيزنا على إضافة ميزات جديدة وإدراج التعليقات الواردة من مختبري تلك النسخة التجريبية. واليوم، يسعدنا الإعلان عن البدء في طرح واجهة AdSense الجديدة لجميع الناشرين في شتى أنحاء العالم. وفي غضون الأسابيع القليلة المقبلة، من المفترض أن تشاهد رابطًا يحمل عنوان "جرِّب واجهة AdSense الجديدة" في الركن العلوي من حسابك. وسيؤدي النقر على هذا الرابط إلى نقلك إلى الواجهة الجديدة. ‫تم تصميم واجهة AdSense الجديدة الثرية بالميزات - والتي أُنشئت استنادًا إلى التعليقات المباشرة منك ومن الناشرين الآخرين - لمساعدتك في جني المزيد من الأرباح باستخدام برنامج AdSense. و‏‫‏‫نود أن نتوجّه إليك بجزيل الشكر على جميع المساهمات التي قدمتها لنا، وأن نوضّح لك كيف انعكس ذلك في الواجهة الجديدة. أصبح بمقدورك الآن تشغيل المزيد من تقارير الأداء المفصَّلة حسب نوع الإعلان وحجم الإعلان والوحدة الإعلانية ونوع الاستهداف ونوع عرض السعر لإجمالي الأرباح، وغير ذلك من المقاييس على مدار نطاقات زمنية مخصّصة. ‏‫كما ستتوفر لك أيضًا رسوم بيانية في علامة التبويب الجديدة "تقارير الأداء"؛ حيث يمكنك عرض مرات الظهور والنقرات والأرباح بسرعة في رسم بياني واحد، ومقارنة أداء الإعلان النصيّ‬ بأداء الإعلان المصوّر، ومقارنة النطاقات الزمنية، وكذلك تحليل البيانات بسهولة للتعرف على مؤشرات الأداء. ‏‫كانت تعليقاتك تهدف إلى إعلامنا بأن البيانات التي تساعدك على فهم أدائك بصورةٍ أفضل هي عامل جوهري في نمو الأرباح؛ لذا قد حرصنا على أن تمنحك الواجهة الجديدة مزيدًا من المؤشرات. على أدوات التحكم في الإعلانات، كما أضفنا قدرًا أكبر من السهولة في استخدامها. أصبحت جميع أدوات التحكم في الإعلانات الآن في موضع واحد، في علامة التبويب "‏‫السماح بالإعلانات/منعها"‬. وفي هذا الموضع، ستتمكن من تصفية الإعلانات من معلنين وفئات وشبكات إعلانية بعينهم. إضافةً إلى ذلك، ستلاحظ أننا حدَّثنا "مركز مراجعة الإعلانات" لإضفاء المزيد من السهولة على مراجعة وإدارة الإعلانات التي تستهدف المواضع على مواقعك. ويمكنك الآن البحث عن الإعلانات في "مركز مراجعة الإعلانات" حسب نوع الإعلان أو الكلمة الرئيسية أو عنوان URL أو شبكة الإعلان، واختيار السماح بها أو منعها. لقد عبَّرت لنا عن رغبتك في إدارة حسابك بصورةٍ أكثر فاعلية؛ لذا تمت إعادة تصميم الواجهة لتساعدك على إتمام المهام بسرعة وسهولة في آن واحد. وتتميز الواجهة الجديدة بتوفير السرعة في استعراض المعلومات المتعلقة بأرباحك ودفعاتك، والبحث عن الميزات الملائمة، وإجراء التغييرات في حسابك. كما تعمل أيضًا على تقديم المساعدة الملائمة والموارد الأخرى، مثل مقاطع الفيديو والمقالات المنشورة في المدونات، مباشرةً في الواجهة، بحيث تتمكن من الحصول على المعلومات التي تحتاج إليها دون الخروج من الحساب. ننصحك بتجربة الواجهة الجديدة فور تمكينها في حسابك. ‏‫لمزيد من المعلومات، تفضل بزيارة الرابط google.com/ads/newadsense. وستجد هناك مقاطع فيديو إضافية، بما في ذلك جولة لاستعراض الواجهة الجديدة، ومعلومات عن الميزات الجديدة، إلى جانب دليل الخطوات الأولى. شكرًا جزيلاً مرةً أخرى على جميع تعليقاتك. ونأمل أن تنال الواجهة الجديدة رضاك. Last November we announced that we were starting to test a new interface with a limited group of publishers. Since then, we’ve been focused on adding new features and incorporating feedback from our testers. Today, we’re excited to announce that we’ve begun rolling out the new AdSense interface to all publishers globally. Within the next few weeks, you should see a “Try the new AdSense interface” link appear in the upper corner of your account. Clicking the link will bring you to the new interface. Built based on feedback we’ve heard from you, our publishers, the new interface is full of features designed to help you make more money with AdSense. We want to thank you for all the input you’ve given us, and show you some of the ways it’s reflected in the new interface. You’ve told us that data that helps you better understand your performance is critical to growing your revenue, so we’ve made sure that the new interface gives you more insights. You can now run even more detailed performance reports by ad type, ad size, ad unit, targeting type, and bid type for total earnings and other metrics, over custom date ranges. You’ll also find graphs of your data on the new Performance reports tab. You can quickly view impressions, clicks, and earnings all in one graph, compare text ad performance to image ad performance, compare date ranges, and easily analyze data to recognize trends. You’ve continued to let us know that protecting your brand by having control over the ads that run on your site is extremely important, so we’ve improved our ad controls and made them easier to use. All ad controls are now in one place, on the Allow and block ads tab. Here, you’ll be able to filter ads from specific advertisers, categories, and ad networks. In addition, you’ll notice that we’ve updated the ad review center to make it easier to review and manage ads that have been placement-targeted to your sites. You can now search for ads in the ad review center by ad type, keyword, URL, or ad network, and choose to allow or block them. You’ve shared with us the need to manage your account more efficiently, so we’ve redesigned the interface to help you complete tasks quickly and easily. The new interface allows you to quickly see your earnings and payment information, find relevant features, and make changes to your account. It also brings relevant help and other resources, like videos and blog posts, right into the interface, so you can get the information you need without leaving your account. Once the new interface has been enabled for your account, we encourage you to give it a try. 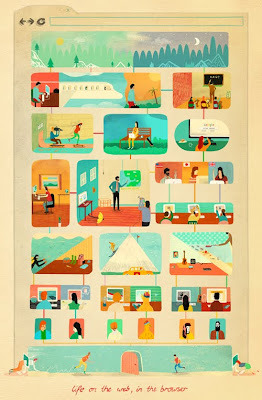 To learn more, check out google.com/ads/newadsense. You’ll find additional videos, including a tour of the new interface, information about new features, and a getting started guide. You can also join the conversation in our Forum to share best practices and discover what other publishers think about the new interface. Thanks again for all your feedback. We hope you like the new interface! أعلنّا في ‏‫‏‫تشرين الثاني (نوفمبر) الماضي عن‬‬ أننا بصدد بدء اختبار واجهة جديدة مع مجموعة محدودة من الناشرين. ومنذ ذلك الحين، انصب تركيزنا على إضافة ميزات جديدة وإدراج التعليقات الواردة من مختبري تلك النسخة التجريبية. واليوم، يسعدنا الإعلان عن البدء في طرح واجهة AdSense الجديدة لجميع الناشرين في شتى أنحاء العالم. وفي غضون الأسابيع القليلة المقبلة، من المفترض أن تشاهد رابطًا يحمل عنوان "جرِّب واجهة AdSense الجديدة" في الركن العلوي من حسابك. وسيؤدي النقر على هذا الرابط إلى نقلك إلى الواجهة الجديدة. في عام 2000، أسس أنطوان عاصي موقع الويب للتصدير إلى الشرق الأوسط www.aldoukan.com ، حيث كان أحد أوائل المواقع للأنشطة التجارية الإلكترونية في الشرق الأوسط. كان يبلغ من العمر20 عامًا فقط واستغل الوقت لتطوير نشاطه التجاري أثناء حضوره دروسًا في علوم الحاسب في الجامعة. واحتاج أنطوان لوسيلة سهلة للإعلان عن موقعه الإلكتروني، لذا قرر تجربة Google AdWords. لم يخطر ببال أي من أصدقائه نجاح فكرته عندما صرح بأنه سيعمل على بيع المنتجات والبضائع التقليدية في الشرق الأوسط والإعلان عنها عبر الإنترنت. ومع ذلك، بحلول عام 2004، نما نشاطه التجاري بسرعة كبيرة مما دفعه للتفرغ لإدارة شؤون نشاطه التجاري طوال الوقت. ثم أنشأ بعد ذلك شركته الثانية، www.mosaicmarble.com، التي تبيع الفسيفساء في الوطن العربي والأسواق العالمية عبر الإنترنت كان أنطوان يعتقد أنه هناك فجوة في سوق الفسيفساء وأراد مشاركة هذه الزخارف الفنية والتاريخية خارج البلاد، فعلم أنه هناك سوق لهذه الزخارف على المستوى الدولي، ولكنه لم يكن يعرف تمامًا كيف يمكنه استغلال هذه الفرصة. اعتمد أنطوان على استخدام AdWords لإدارة حملات إعلانية متعددة، كل حملة منها تستهدف تستهدف دول و لغات مختلفة، مما ساعده على الانفتاح على الأسواق الدولية. وبواسطة AdWords، كان أنطوان يقيس المبيعات والنسبة المئوية لحركة الزيارات على موقعه الإلكتروني من كل بلد وحملة. واستثمر أمواله في البلاد التي تشهد حجمًا أعلى للمبيعات وقدرًا أكبر من العائدات على الاستثمار. وأينما يرى أنطوان حجمًا ثابتًا لمبيعات المنتجات، فإنه يعمل على ترجمة الموقع الإلكتروني للشركة إلى لغة البلد الذي شهد استضافة ناجحة لمنتجاته. ويمكنك أن تتوقع إلى أي مدى قد تساهم ترجمة الموقع إلى لغة البلد الذي شهد فيه أنطوان نجاحًا في تعزيز حجم المبيعات بشكل أكبر في هذا الموقع. ويشير أنطوان إلى حملاته التي أدارها عن طريق AdWords ككنزه الخفي، مع إخبارنا قائلاً: "في الشهر الثاني الذي بدأت فيه في الإعلان من خلال Google، بدأت أشعر ببعض الارتباك نظرًا للحجم الكبير للطلبات والاستفسارات... اضطررت حينها إلى تعيين موظفين جدد ليعملوا بشكل أسبوعي." وسرعان ما نما عدد العاملين في شركةMosaic Marble من موظفين وثمانية فنانين إلى أكثر من40 موظفًا و120 فنانًا. كما أصبح الموقع الإلكتروني للشركة متاحًا الآن بستة لغات: العربية والإنجليزية والفنلندية والألمانية والإيطالية والبرتغالية. بالإضافة إلى مساعدة هذه الحملات الدولية لأنطوان على توسيع نشاط شركته، فقد ساعدته هو وزملاءه في مشاركة هذه الرموز الثقافية مع عدد أكبر من الأشخاص في شتى أنحاء العالم. فهناك الآن منازل جديدة ومساحات عامة مزينة بهذه الإبداعات اليونانية القديمة في أكثر من50 بلدًا في شتى أنحاء العالم. يصرح أنطوان قائلاً: "بفضلGoogle صار لدينا عملاء مثل رئيس جمهورية الكونغو، ووزير دبي للشؤون الداخلية وأميرة الأردن والأكاديمية الموسيقية الملكية في لندن." Two months ago, we announced the launch of Google For Agencies in MENA, an innovative initiative to assist small and medium agencies in enriching their AdWords knowledge and experience. This program addresses agencies such as digital, creative, full service advertising agencies in addition to web designers , hosting companies and nevertheless, freelancer web designers who wishe to make additional money out of their own innovative creativity. As soon as you redeem 3 coupons , we will provide you with a FREE GAP voucher to sit for your GAP exams and become individually Certified. It is exciting to have you with us and grow our online MENA markets further! قبل شهرين، تم طرح برنامج Google For Agencies في الشرق الأوسط وشمال إفريقيا، حيث يعد هذا البرنامج بمثابة مبادرة مبتكرة تهدف إلى مساعدة الوكالات الصغيرة والمتوسطة في تدعيم معرفتها وخبرتها بشأن استخدام خدمة AdWords. فأنا يمكنني الدخول، بشكل فوري وآمن، إلى جهات اتصالي وتقويمي ورسائلي الإلكترونية من على هاتف Android وهاتف Blackberry ومن خلال أي نظام أساسي آخر للهواتف الذكية. إننا نستفيد من إمكانيات وقدرات الشبكة! أعلم ما يدور في ذهنك الآن، فأنت تريد تضمين تطبيقات Google في مؤسستك. حسنًا، دعني أخبرك أن تطبيقات Google متاحة لعملاء المؤسسات في جميع أنحاء العالم! إن تطبيقات Google الإصدار المميز تحول الطريقة التي تستخدمها الشركات في تبادل المراسلات والتعاون. فقد أصبح ما يزيد عن 2 مليون مؤسسة في جميع أنحاء العالم، بما فيها مؤسسات كثيرة في الشرق الأوسط وشمال إفريقيا، تستخدم خدمات وتطبيقات Google. فالمؤسسات مثل Motorola، وJaguar Land Rover، وKLM تستفيد جميعها من تطبيقات Google. يمكنك الاطلاع على بعض قصص العملاء هنا. الرجاء الانتقال إلى موقع الويب التالي للاطلاع على المزيد من المعلومات عن تطبيقات Google: موقع الويب لتطبيقات Google الإصدار المميز واطلع على فيديو YouTube حول استخدام تطبيقات وخدمات Google. إذا كنت تريد معرفة كيف يمكن لمؤسستك الاستفادة من تطبيقات وخدمات Google، فأخبرنا بذلك. فلدينا فريق، من بينهم أنا، يتواجد في مدينة دبي للإنترنت، ويغطي منطقة الشرق الأوسط. نتطلع لمقابلتك. جيرارد موسى، مدير حسابات المؤسسات في الشرق الأوسط وشمال إفريقيا. دبي. One of the coolest things about working at Google is the free food - lots of it :). Another just as cool thing is the fact that we use the Google Web Based Apps for our email, calendaring, messaging and collaboration. Can you imagine using the same Gmail interface you love for your corporate email? We do! It's similar to the Gmail that everybody uses and loves with Enterprise level features, security and support. We each get 25GB of Storage Space for our emails! Creating and Editing Documents, Spreadsheets and Presentations has never been more collaborative, simple and fun! I can also access my contacts, calendar and emails from my Android phone, Blackberry and any other Smarthphone platform, instantly and securely. We utilize the power of the Cloud! I know what you are thinking, I would love to have Google Apps within my organization. Well, unlike the free food, Google Apps is available to Enterprise Customers anywhere in the world! Google Apps Premier Edition is transforming the way businesses message and collaborate. Over 2 Million Organizations Worldwide, including many in MENA, have already Gone Google. Organizations like Motorola, Jaguar Land Rover and KLM, are all benefiting from Google Apps. You can find some Customer Stories here. Please visit the following website for more information re Google Apps: Google Apps Premier Edition Website and check out the Gone Google Youtube Video. If you want to know how your organization can benefit from Going Google, do let us know. We have a team, including myself, based out of Dubai Internet City, covering MEA. Looking forward to meeting you :). Girard Moussa, Enterprise Account Manager for MENA. Dubai. من أروع الأشياء بخصوص العمل لدى شركة Google خدمة تقديم طعام مجاني بدون أي قيد. والشيء الرائع أيضًا أننا نستخدم تطبيقات Google التي تستند إلى الويب للتعامل مع بريدنا الإلكتروني وتقاويمنا وتبادل المراسلات والتعاون مع بعضنا البعض. ربما تأمل في استخدام واجهة Gmail نفسها التي تفضلها لبريدك الإلكتروني في الشركة. إننا نفعل ما تتمناه هنا في شركتنا! فخدمة البريد الإلكتروني في شركتنا مماثلة لخدمة Gmail التي يستخدمها ويحبها الجميع، إلا أنها تحصل على ميزات وأمان ودعم على مستوى المؤسسة. ويحصل كل فرد في الشركة على سعة تخزينية للرسائل الإلكترونية تبلغ 25 غيغابايت! ولم يكن إنشاء وتعديل المستندات وجداول البيانات والعروض التقديمية أبدًا بمثل هذا القدر من التعاون والبساطة والمتعة! أخبرتني جينيفر هارون في إتصال هاتفي منذ شهور قليلة أن مشروع "الصحة تتحدث" قد حصل على دعم وموافقة مؤسسة Google.org وهي مؤسسة تابعة لشركة Google تعنى بالأعمال الخيرية التي يكون أغلبها غير تقليدي ويسهم في علاج المشكلات التي يواجهها العالم. وقد كانت سر سعادتي في هذا الخبر هو أن هذا المشروع هو نموذج للمشاريع التي تم تصميمها بعناية ليستفيد منها الجميع وهو يعالج مشكلة تواجه مستخدمي العالم العربي وهي نقص المحتوى عالي الجودة في المجالات المتخصصة. فعلى الرغم من أن هناك ما يزيد على ٦٠ مليون مستخدم للإنترنت في العالم العربي و هو عدد يعادل تقريبا سكان المملكة المتحدة (بريطانيا ) أو فرنسا، إلا أن المحتوى العربي على الإنترنت لا يمكن مقارنته بهذه اللغات وذلك لأسباب عديدة سبق وتطرقنا إليها في العديد من المقالات والمقابلات الصحفية. المشروع يهدف إلى الاستفادة من منتج Google Translators Toolkit في ترجمة قرابة الألف مقالة من المقالات الطبية والصحية المتوفرة على موقع Wikipedia بنسختها الإنجليزية إلى اللغة العربية والهندية والسواحيلية عن طريق فريق من المتطوعين المتخصصين أو الدارسين لمجال الطب. ولتشجيع المتطوعين على الترجمة فإن مؤسستنا الخيرية Google.org قررت التبرع بما قيمته ربع مليون جنيه مصري إلى مستشفى 57357 والتي تسهم في رعاية وعلاج مرضى سرطان الأطفال في مصر. حيث أن لكل صفحة يتم ترجمتها ومراجعتها ونشرها في Wikipedia تقوم Google بالتبرع بمبلغ يعادل أربعين جنيها مصريا لمستشفى السرطان وذلك في الفترة من بداية شهر سبتمبر وحتى نهاية شهر أكتوبر عام 2010. إن توفر المعلومات الطبية على شبكة الإنترنت يسهم في زيادة الوعي الطبي خاصة ومع انتشار الشبكة ودخولها لنسبة كبيرة جدا من البيوت في العالم العربي، وقد أصبحت الإنترنت مصدرا هاما للمعلومات الصحية وقد ظهر هذا جليا أثناء انتشار مرض أنفلونزا H1N1 أو ما عرف وقتها بأنفلونزا الخنازير حيث كانت الإنترنت هي المصدر الأول للمعلومات عن المرض وأعراضه وكيفية الوقاية والعلاج منه لملايين المستخدمين في العالم العربي. خلال الأيام القليلة الماضية بدأنا التواصل مع الجامعات والأطباء وسعدنا لرؤيتنا الحماس الكبير من الجميع، فهناك عشرات الأطباء وطلبة كليات الطب في العالم العربي قد قاموا بتعبئة استمارات التطوع بل وبدأ بعضهم بكل حماس في ترجمة المقالات بالرغم من أننا نعلن اليوم بدء المبادرة باللغة العربية مما يزيد من رغبتنا في الاستمرار ومواصلة الجهود الرامية لتطوير المحتوى العربي على شبكة الإنترنت. إن موقع ويكيبديا من الخدمات التي تستحق دعم الجميع سواء كانوا مؤسسات أو أفراد حيث أن هذا الموقع يدخله ملايين المتحدثين بالعربية حول العالم للاستفادة من الثروة المعلوماتية الهائلة المتوفرة فيه والتي قامت بجهود ذاتية من مجموعة من الشباب الرائع في العالم العربي والذين بذلوا الجهد والوقت لتطوير المحتوى العربي على الإنترنت دون انتظار مقابل مادي أو حتى معنوي فهم بحق جنود مجهولين يستحقون منا كل الإشادة والتقدير. نرجو أن تشاركوا معنا في المساهمة بإثراء المحتوى العربي على الإنترنت ونشر ثقافة التطوع والعمل على إثراء الشبكة العربية بالمحتوى علي الجودة فهي خطوة من الخطوات التي نحتاجها للنهوض بعالمنا العربي. "مبروك يا وائل فقد حصلنا على الموافقة وسيتم تنفيذ المشروع"
الكلاسيكي 1985 الليلة الماضية، انتابتني الدهشة من كم الأشياء التي يمكن أن تتغير مع مرور الزمن. ولقد كانت الشخصية الرئيسية هي Marty McFly والذي يسافر 30 سنة إلى الوراء، فقط ليجد أن منزله لم يتم بناؤه بعد، حيث لم يتم تصنيع ألواح التزلج ولم يكن أحد قد سمع على الإطلاق بموسيقى الروك ‘آند رول. وإذا ما راجعنا النظر اليوم إلى الذكرى السنوية الثانية لإصدار Chrome، فسيدهشنا مقدار ما تغير في مجرد وقت قصير. في آب (أغسطس) 2008 كانت جافا سكريبت سرعتها أقل 10 مرات، حيث لم يكن يتوفر HTML5 كميزة أساسية في المتصفحات الحديثة وقد كانت فكرة متصفح مزود بوضع حماية متعدد العمليات مجرد مشروع بحث. منذ تشغيل Chrome التجريبي الأول لنظام التشغيل Windows، عرضنا إصداراتنا لنظامي التشغيل Mac وLinux المواكبان للسرعة, وواصلنا العمل لجعل المتصفح أكثر سرعة وبساطة وأمانًا في الأنظمة الثلاثة جميعها. وقدمنا أيضًا كمًا هائلاً من الميزات، والتي من بينها قابلية التخصيص بدرجة أكبر في صفحة "علامة تبويب جديدة" ومظاهر المتصفح والعرض جنبًا إلى جنب ومدير كلمة المرور وعناصر التحكم في الخصوصية التي تعمل بشكل أفضل وشكل مدمج من Adobe Flash Player والملء التلقائي والترجمة التلقائية و إمكانيات HTML5 ومزامنة العديد من الإعدادات مثل الإشارات والمظاهر والإضافات وتفضيلات المتصفح، وكل ذلك على سبيل المثال لا الحصر. وهناك الآن أكثر من 6000 من الإضافات في معرضنا لتحسين تجربتك مع التصفح. نيابةً عن المستخدمين، نواصل تمديد ميزات الأمان التي تساعدك في تصفح الويب بشكل أكثر أمانًا. ويشتمل هذا على تقنية SafeBrowsing من Chrome - والتي تعمل كنظام تحذير في حال ما إذا كنت على وشك الانتقال إلى أحد المواقع المشتبه في احتوائها على تصيد أو برامج ضارة؛ وآلية التحديث التلقائي من Chrome - والتي تساعد على ضمان تحديث المتصفح دائمًا بآخر تحديثات الأمان ووضع "صندوق الحماية" للمتصفح - وهو طبقة حماية إضافية تمنع الشفرة الضارة على موقع الويب الذي يتم استغلاله من إصابة جهاز الكمبيوتر. الاصدار القديم لـGoogle Chrome: أول نسخة تجريبية! حاليًا، نحن في طريقنا لإصدار نسخة جديدة من Chrome تتسم بالثبات وزيادة السرعة والانسيابية. تزيد سرعة Chrome الآن بمقدار ثلاثة أضعاف عن سرعته بالنسبة إلى أداء جافا سكريبت قبل سنتين. وقد عملنا أيضًا على تبسيط "الواجهة الكرومية" لمتصفح Chrome. وكما ترى، فقد استخدمنا بالفعل واجهة مستخدم ذات مظاهر بسيطة وقسمناها بعض الشيء للتيسير على المستخدم. لقد دمجنا قائمتي Chrome في قائمة واحدة، وأعدنا النظر في موقع الأزرار ومسحنا معالجة عنوان URL والصندوق متعدد الاستخدامات، كما عدلنا نظام ألوان المتصفح من أجل إراحة العيون. وإذا ما رجعنا إلى آلة الزمن التي اخترعها Doc Brown والتي تسمى DeLorean مع ضبط المؤشر للأمام ببضعة شهور، فسيكون لدينا المزيد من الميزات لمتصفح Chrome. وكما هو الحال دائمًا، نحن نعمل بجدية لجعل Chrome أكثر سرعة. حيث نعمل على تحقيق زيادة كبيرة في سرعة جافا سكريبت وإيجاد طرق لتحسين أداء الرسومات في المتصفح من خلال تسريع الأجهزة. ومن خلال استخدام متجر ويب Google Chrome, نأمل في تيسير العثور على التطبيقات الرائعة على الويب واستخدامها. كما نعمل أيضًا على الارتقاء التدريجي في تقدم إصداراتنا بحيث يمكننا توفير ميزات وتحسينات جديدة لكل الأشخاص بشكل أسرع. إذا كنت لم تجرب Chrome مؤخرًا، فنحن ندعوك اليوم لتنزيل نسختنا الجديدة التي تتسم بالثبات على google.com/chrome. وبالنسبة لهؤلاء الذين كانوا يستخدمون Chrome، فيسعدنا تقديمه لهم لسنة ثانية رائعة! نأمل أن يكون Chrome قد غير حياتك على الويب للأفضل، ونتطلع إلى السنة القادمة. Watching the 1985 classic Back to the Future last night, I was struck by how much things can change with time. The main character Marty McFly travels 30 years back in time, only to find that his house hadn’t been built yet, skateboards hadn’t been invented and nobody had ever heard rock ‘n roll. Behind the scenes, we continue to extend the security features that help you browse the web more safely. 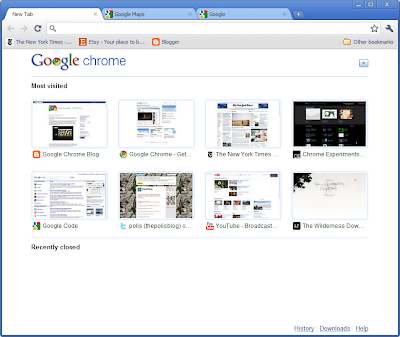 This includes Chrome’s Safe Browsing technology—which serves as a warning system if you’re about to visit a site suspected of phishing or hosting malware; Chrome’s auto-update mechanism—which helps ensure that the browser is always up-to-date with the latest security updates; and the browser’s “sandbox”—an added layer of protection which prevents malicious code on an exploited website from infecting your computer. 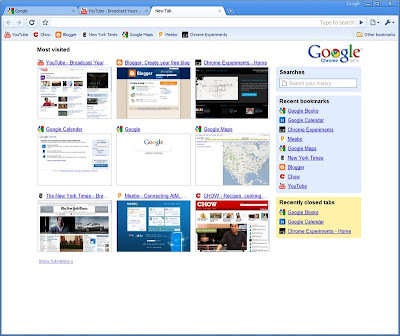 The old Chrome: our very first beta! Sliding back into Doc Brown’s DeLorean and setting the dial ahead by a few months, we have more in store for Chrome. As always, we’re hard at work on making Chrome even faster, and working on ways to improve graphics performance in the browser through hardware acceleration. With the Chrome Web Store, we hope to make it much easier to find and use great applications on the web. We also ratcheted up the pace of our releases so that we can get new features and improvements to everyone more quickly. 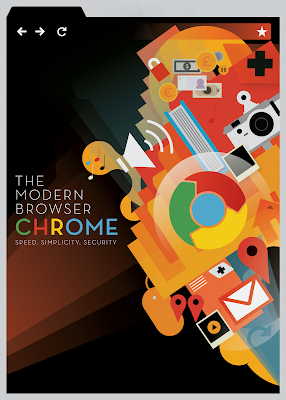 If you haven’t tried Chrome recently, we invite you to download our new stable version today at google.com/chrome. For those of you who have been using Chrome, thanks for a great second year! We hope that Chrome has made your life on the web even better, and look forward to the next year. بينما كنت أشاهد فيلم عودة إلى المستقبل الكلاسيكي 1985 الليلة الماضية، انتابتني الدهشة من كم الأشياء التي يمكن أن تتغير مع مرور الزمن. ولقد كانت الشخصية الرئيسية هي Marty McFly والذي يسافر 30 سنة إلى الوراء، فقط ليجد أن منزله لم يتم بناؤه بعد، حيث لم يتم تصنيع ألواح التزلج ولم يكن أحد قد سمع على الإطلاق بموسيقى الروك ‘آند رول. من خلال ما أجريناه من تغييرات وظيفية ومرئية، أردنا تبسيط الأمر عليك لاكتشاف الميزات الكثيرة وعمليات التكامل في خدمة الترجمة من Google، بل وتحقيق أقصى استفادة منها. فعلى سبيل المثال، هل تعلم أنه يمكنك البحث عبر لغات متعددة من خلال Google باستخدام خدمة الترجمة من Google ؟ أو أنه يمكنك ترجمة البريد الإلكتروني الوارد في Gmail أو استخدام خدمة الترجمة من Google أينما تذهب عبر هاتفك؟ لقد أضفنا جميع هذه النصائح في صفحة المزيد من إمكانيات الترجمة من Google الجديدة. يمكنك أيضًا مشاهدة بعض هذه النصائح الموجودة في الصفحة الرئيسية الجديدة. هل تستخدم خدمة الترجمة من Google للبقاء على اتصال مع أقربائك الذين يعيشون في مناطق بعيدة؟ هل تقرأ أخبارًا أجنبية؟ أو تحقق الاستفادة القصوى من إجازتك؟ يسرنا تلقي آرائك، وندعوك إلى مشاركة تجربتك معنا. فمن يدري فربما وضعنا تجربتك في مدونة الترجمة من Google! Today, you may have noticed a brighter looking Google Translate. We’re currently rolling out several changes to our look and feel that should make translating text, webpages and documents on Google Translate even easier. These changes will be available globally within a couple of days. With today’s functional and visual changes we wanted to make it simpler for you to discover and make the most of Google Translate’s many features and integrations. For example, did you know that you can search across languages on Google using Google Translate? Or that you can translate incoming email in Gmail or take Google Translate with you on your phone? We’ve added all these tips on the new Do more with Google Translate page. You can also see some of these tips rotating on the new homepage. It’s always inspiring for us to learn how Google Translate enables people to break down communication barriers around the world. Lisa J. recently shared with us how she uses Google Translate to stay in touch with her grandparents. “I moved to the U.S. from China when I was six,” Lisa told us, “so I speak both English and Chinese fluently but I’m not very good at reading the complex Chinese alphabet.” When she gets an email from her grandparents in China, Google Translate helps her understand the sentences she can’t quite read. She also uses Google Translate when she’s writing her response. “I use Google Translate to make sure I’m using the right character in the right place,” she explained. 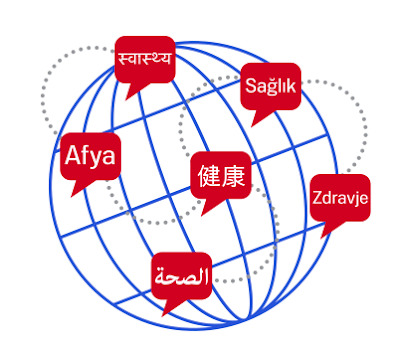 Do you use Google Translate to stay in touch with distant relatives? Read foreign news? Or make the most of your vacation? We’d love to hear from you, and invite you to share your story with us. Who knows, we might feature your story on the Google Translate blog! نماذج Google أصبحت باللغة العربية! يمكن للمتلقي أي يرد فورا من خلال الرسالة البريدية نفسها أو من خلال صفحة الإنترنت التي يتم إنشاءها تلقائيا، أما الإجابات فيتم حفظها في شكل جدول يمكن الإطلاع عليه فيما بعد. وأجمل ما في الأمر هو أن النماذج سيمكن إرسالها أيضا باللغة العربية، فعندما تقوم بإنشاء نموذج عنوانه أو وصفه مكتوبين باللغة العربية سيتم تنسيق النموذج من اليمين إلى اليسار وسيكون قابل لتلقي البيانات من اليمين إلى اليسار أيضا. ماذا تنتظر إذا؟ انقر هنا فورا وابدأ في تذوق تجربة نماذج Google سواء كنت تريد إنشاء امتحانات أو استبيان أو لمجرد التسلية! Google Forms makes it easy and convenient to collect information. Within minutes you can create a questionnaire with questions of various types, such as multiple choice questions and free text questions. Then you can send it out to anyone with an email address. The recipients can then respond instantly from the email message or from an automatically generated web page. The responses are saved in a spreadsheet and can be viewed graphically. The icing on the cake is that forms can be sent in Arabic: when you create a form with an Arabic title or description, the form is arranged right-to-left and is ready to take right-to-left input. So what are you waiting for? Jump in and start experiencing Google Forms, whether it's for creating tests, surveys, or just for fun! نماذج Google أو Google Forms ستسهل عليك مهمة جمع المعلومات، ففي غضون دقائق سيمكنك إنشاء استبيان يحتوي على أنماط مختلفة من الأسئلة منها أسئلة الاختيارات المتعددة والأسئلة التي تقبل إجابات مفتوحة وغير محددة الحجم، وبعد الانتهاء ستتمكن من إرسال النموذج الذي أعددته إلى أي شخص تريده عبر البريد. تستفسر عن أفضل الطرق لاكتساب الروابط. من الظاهر أن هناك بعض الحيرة ، خاصةً بين مشرفي المواقع الأقل خبرة، عند تطرق التعامل مع هذا الموضوع. تم ذكر عدة وجهات نظر ، ونود أيضاً أن نشرح وجهة نظرنا عن كسب روابط جيدة. إذا كان موقعك جديدًا وما زال غير معروفاً، يمكنك الانخراط في مجتمع الويب الذي يتعلق بموضوع موقعك. فهذه من الطرق الجيدة لنشر الخبر عنه. تفاعل وساهم في المنتديات والمدونات. قم بذلك بطريقة إيجابية من دون التطرق إلى استعمال التعليقات المزعجة. تكوين سمعة حسنة لموقعك سيجذب الناس وسيستمرون بزيارته والربط إليه. إن تقديم محتوى متواصل، مميز، ومقنع --محتوى يعكس خبرتك عن الموضوع--- سيدفع الناس إلى نشر موقعك لغيرهم من الأشخاص. تقديم الأدوات المفيدة لا تقل أهمية عن المحتوى وهي تخدم الغرض نفسه. غالباً يتم ذكر أدلة المواقع كطريقة أخرى لنشر المواقع الجديدة في فهرس Google. هناك أدلة موضوعية جيدة تزيد قيمة على الإنترنت. لكن ليس هناك الكثير منها بالمقارنة مع الأدلة الأقل جودةً. إذا قررت أن تقدم موقعك إلى دليل، تأكد من أنه يتعلق بموضوع موقعك، خاضع للإشراف، ومنظم. إدخال المواقع إلى الكثير من الأدلة بدفعات كبيرة، وهي وسيلة تُقدم في بعد الأحيان على أنها طريقة سريعة لتحسين ترتيب المواقع، في الغالب غير مُجدي وعلى الأرجح لن يخدم غرضك. قد تكون فكرة جيدة أن تطلع على مواقع أخرى مشابهة لموقعك في لغات أخرى وتحدد العناصر التي قد تعمل بشكل جيد لموقعك. ومع ذلك ، فمن المهم عدم نسخ طرق المواقع الأخرى ولكن تكييفها بحيث أنها توفر قيمة فريدة لزوار موقعك. وأخيراً، أنظر في إمكانية تسهيل عملية الربط إلى موقعك للمستخدمين الذين لا يعرفون الكثير عن الحاسوب مثل الطريقة التي نستعملها على YouTube، حيث نوفر طرق سهلة للنشر على المواقع الاجتماعية مثل Twitter و-Facebook. فهذا يساعد بنشر الخبر عن المحتوى الجيد على موقعك ولفت نظر المستخدمين عليه. وكالمعتاد، نريد معرفة رأيكم. وإننا نرحب بكم للتعليق هنا في المدونة أو الانضمام إلى منتدى مساعدة مشرفي المواقع. If your site is rather new and still unknown, a good way marketing technique is to get involved in the community around your topic. Interact and contribute on forums and blogs. Just keep in mind to contribute in a positive way, rather than spamming or soliciting for your site. Just building a reputation can drive people to your site. And they will keep on visiting it and linking to it. If you offer long-lasting, unique and compelling content -- something that lets your expertise shine -- people will want to recommend it to others. Great content can serve this purpose as much as providing useful tools. A promising way to create value for your target group and earn great links is to think of issues or problems your users might encounter. Visitors are likely to appreciate your site and link to it if you publish a short tutorial or a video providing a solution, or a practical tool. Survey or original research results can serve the same purpose, if they turn out to be useful for the target audience. Both methods grow your credibility in the community and increase visibility. This can help you gain lasting, merit-based links and loyal followers who generate direct traffic and "spread the word." Offering a number of solutions for different problems could evolve into a blog which can continuously affect the site's reputation in a positive way. Humor can be another way to gain both great links and get people to talk about your site. It's important to clarify that any legitimate link building strategy is a long-term effort. There are those who advocate for short-lived, often spammy methods, but these are not advisable if you care for your site's reputation. Buying PageRank-passing links or randomly exchanging links are the worst ways of attempting to gather links and they're likely to have no positive impact on your site's performance over time. If your site's visibility in the Google index is important to you it's best to avoid them. Directory entries are often mentioned as another way to promote young sites in the Google index. There are great, topical directories that add value to the Internet. But there are not many of them in proportion to those of lower quality. If you decide to submit your site to a directory, make sure it's on topic, moderated, and well structured. Mass submissions, which are sometimes offered as a quick work-around SEO method, are mostly useless and not likely to serve your purposes. It can be a good idea to take a look at similar sites in other markets and identify the elements of those sites that might work well for yours, too. However, it's important not to just copy success stories but to adapt them, so that they provide unique value for your visitors. اكثر الأسئلة الشائعة في منتدى مساعدة مشرفي المواقع تستفسر عن أفضل الطرق لاكتساب الروابط. من الظاهر أن هناك بعض الحيرة ، خاصةً بين مشرفي المواقع الأقل خبرة، عند تطرق التعامل مع هذا الموضوع. تم ذكر عدة وجهات نظر ، ونود أيضاً أن نشرح وجهة نظرنا عن كسب روابط جيدة.